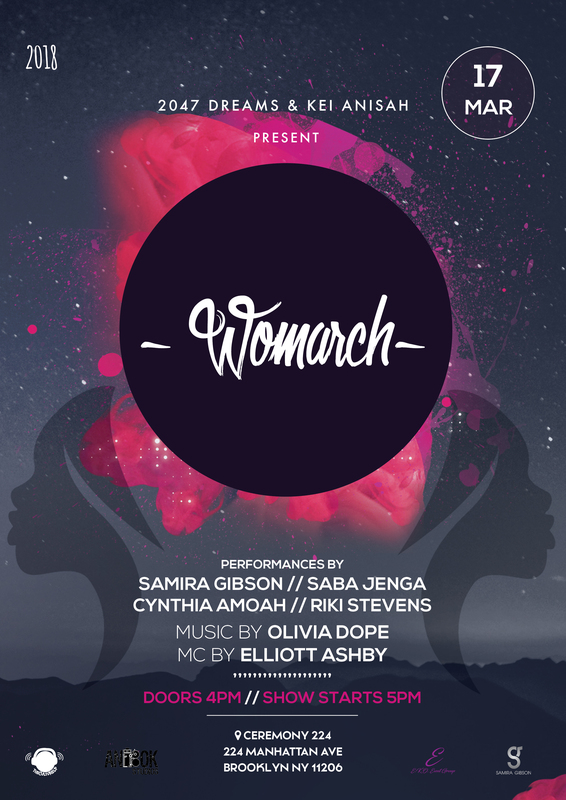 Cynthia Amoah | WOMARCH: Woe. Whoa. Woman. Matriarch. March. 17mar4:00 pm- 7:00 pmWOMARCH: Woe. Whoa. Woman. Matriarch. March. Woe. Whoa. Woman. Matriarch. March. Womarch is a creative networking platform to continue building the unified front for future generations. Art, support, encouragement & reciprocity are key components of fruitful relationships and community infrastructure. March was declared Women’s History Month to broadcast feminine energy and women’s contributions to society. Herstory is unfolding right now. Join us for an evening of healing, commemoration, and community empowerment.